Saturday May 5th was a beautiful sunny day for Gardena’s Cinco de Mayo Parade. and Bishop Morgan. 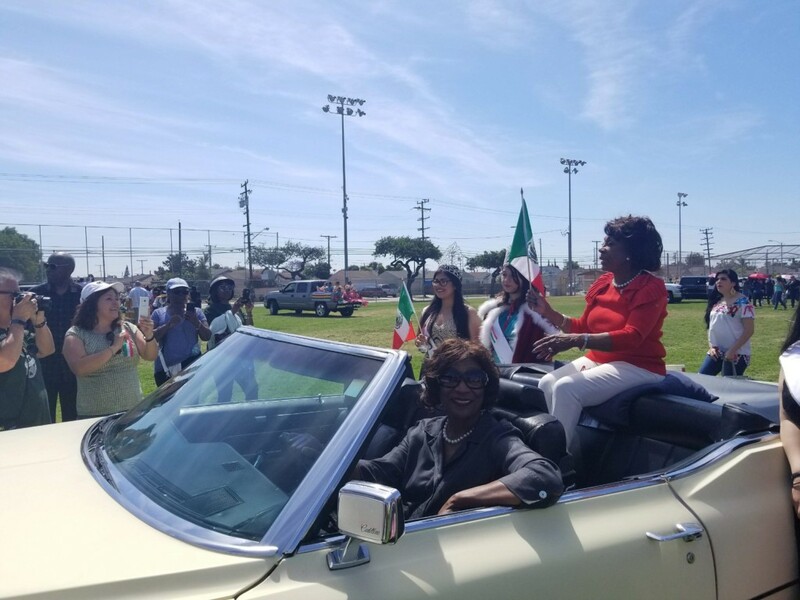 Pictured is United States Representative Maxine Waters riding in Martha’s 1969 Cadillac.